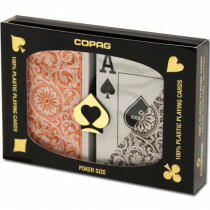 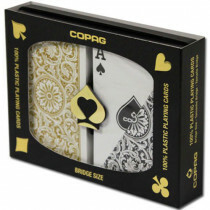 Copag Cards: Official Playing card of the 2016 World Series of Poker! 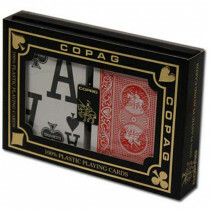 You may think you are saving money by buying those cheap paper or plastic-coated playing cards, but you aren't. 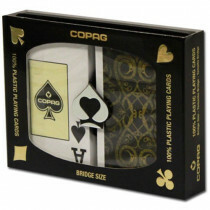 COPAG plastic playing cards will last up to 50 times longer than paper or plastic-coated playing cards, for much less money in the long run. 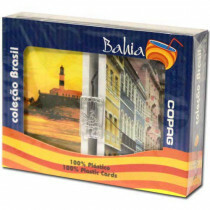 Think about it, you can buy a deck of so-called cheap cards at a drugstore for $3, but you will need to replace them after just a few hours of play. 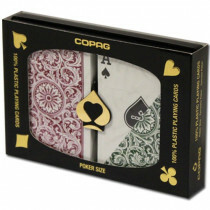 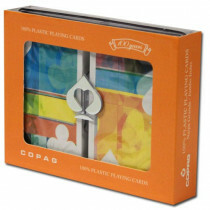 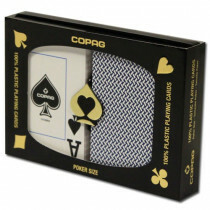 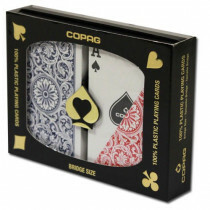 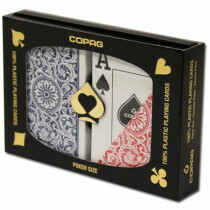 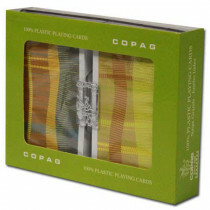 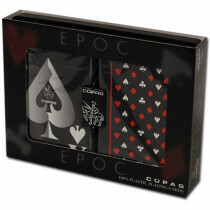 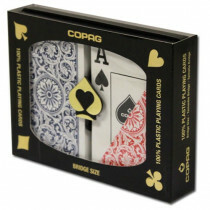 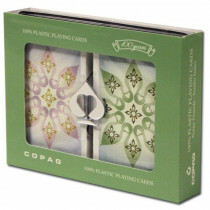 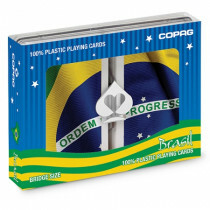 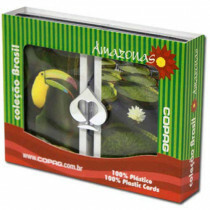 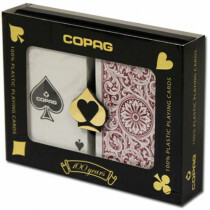 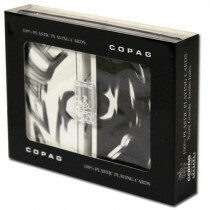 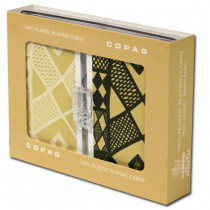 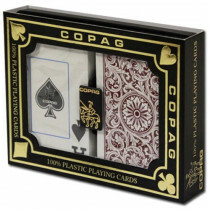 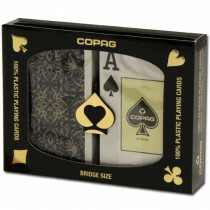 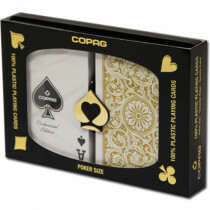 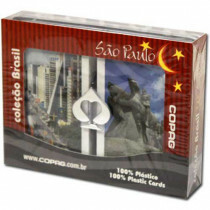 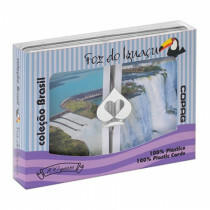 A high quality set of COPAG plastic playing cards includes 2 decks at a cost of around $8 per deck, but the deck will last up to 50 times longer. 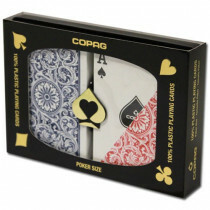 Do the math. 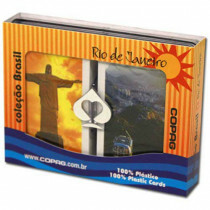 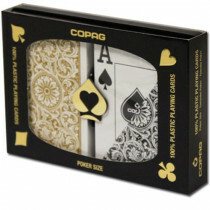 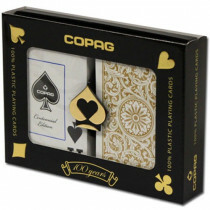 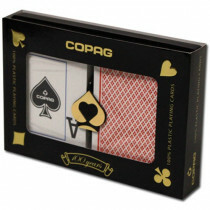 COPAG cards are used in casinos around the world for their quality look, feel and playability. 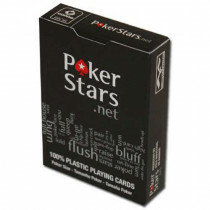 They have been used in the World Series of Poker and World Poker Tour events and are currently seen by millions on televised tournaments such as the Heartland Poker Tour. 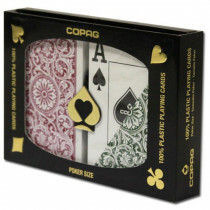 Add these professional quality plastic playing cards to your home casino setup and upgrade your average card night. 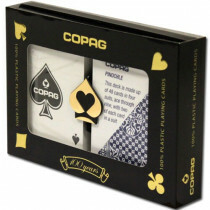 Learn more about COPAG quality at our COPAG Playing Cards info page.